The transition from high school to university can be daunting. Here at U of T Engineering, we hope to ease that transition by introducing you to six people you might meet in your first year of studies. Each week, we’ll introduce you to someone from U of T Engineering. 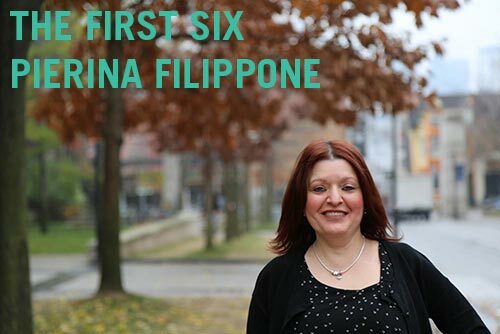 For over 25 years, Pierina Filippone has helped thousands of U of T Engineering students with financial matters and concerns. She approaches what are often sensitive issues with unparalleled intelligence and care. Topics you can discuss with Pierina: tuition and fees, financial concerns, scholarships and grants, ePortfolio, UTAPS, and more. First-year tip from Pierina: “Take advantage of the many resources and supports that are in place if you need them. If you’re involved in extracurricular activities, complete the Online Engineering Portfolio, which is referred to as the “ePortfolio.” The Scholarships Committee uses students’ ePortfolios to select recipients for awards that sometimes include extracurricular activities and leadership qualities in their terms. You will hear more about the Faculty’s ePortfolio in the Fall, but I can’t stress enough how important it is to complete it and ensure it’s regularly updated during your academic career at U of T Engineering. Also, be sure to check out the Current Engineering Undergraduate site for internal and external scholarship opportunities, and, lastly, if you receive emails from me during the year, don’t ignore them — I often send scholarship opportunities to students. You can find Pierina in the Office of the Registrar. In the 2018 Fall Term, approximately 35 instructors will teach classes for the Faculty’s 1,150 first-year students. In your first term in U of T Engineering, you will have six instructors. In advance of the first day of classes, we would like to introduce you to three of U of T Engineering’s first-year instructors: Professor Jason Bazylak (MIE), Professor Shoshanna Saxe (CivE) and Professor Micah Stickel (ECE). Tip: Take advantage of your instructor’s office hours. They are an invaluable way to connect with your instructor and ask any questions you might have about the course or course material. Where can you find your instructor’s office hours and location? Check out the course syllabus. Alternatively, some instructors post their office hours in Quercus. 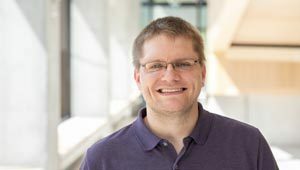 Professor Jason Bazylak (MIE) brings his engineering, education and design experience to his role at U of T Engineering. He currently coordinates an award-winning first-year design course — Engineering Strategies and Practice (ESP) — conducts research into reducing the under-representation of women and Indigenous people in engineering and is the Dean’s Advisor on Indigenous Initiatives. Professor Bazylak started his career as a manufacturing engineer in a new product introduction division of a large telecommunication manufacturer. He returned to academia when he joined the University of Victoria, first as an Engineering Co-operative Education Coordinator and then as an Engineer-In-Residence. He joined the University of Toronto’s Faculty of Applied Science and Engineering as a teaching stream professor where he is heavily involved in design education. 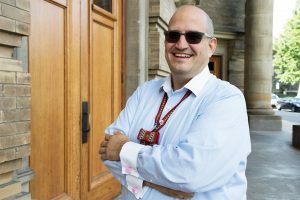 Most recently, he won the Hart Teaching Innovative Professorship for his work to increase engineering engagement with Indigenous students and communities. 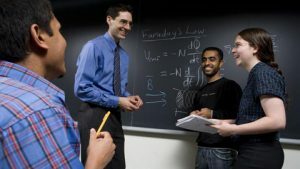 First-year courses Professor Bazylak teaches: APS111 and APS112: Engineering Strategies and Practice (ESP). Fun fact about ESP: In 2017, first-year ESP students came to the rescue of hundreds of thousands of priceless works of literature by designing a retrofit for the Fisher Rare Book Library. Professor Shoshanna Saxe (CivE) investigates the relationship between the infrastructure we build and the society we create, with a particular focus on environmental sustainability. Her main expertise is in lifecycle greenhouse gas evaluation of rail infrastructure including the impacts of construction, operation, influence on travel behaviour and interactions with land use. 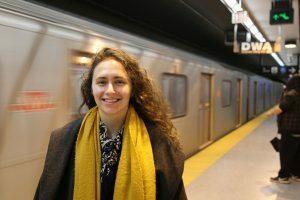 Professor Saxe was previously a consulting engineer in Toronto where she worked on the design and construction of the York University Subway Station, the Eglinton Crosstown and the Billy Bishop Airport Tunnel, among other projects. First-year course that Professor Saxe teaches: CIV100: Mechanics. In the News: Read more about Saxe’s research in WIRED. 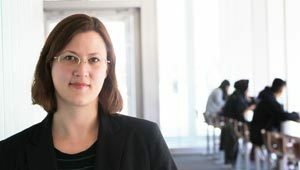 Professor Micah Stickel (ECE) is U of T Engineering’s Vice-Dean, First Year. He is also an Associate Professor, Teaching Stream, in The Edward S. Rogers Sr. Department of Electrical & Computer Engineering. Professor Stickel first came to the Faculty when he started as an undergraduate in 1993. Professor Stickel has a great interest in engineering education and the use of technology to advance the student learning experience. He is known as an innovator in the classroom, incorporating tablets into his lectures and integrating online peer support, assignments, and quizzes into his courses. In addition, he is also engaged in scholarly work to quantify the impact of new technologies in teaching, publishing three papers on the subject. Professor Stickel has been honoured with three departmental teaching awards and was selected as a New Faculty Fellow at the 2008 Frontiers in Education Conference. In 2012, he was awarded U of T Engineering’s Early Career Teaching Award. First-year course(s) Professor Stickel teaches: APS 100: Orientation to Engineering and APS 191: Introduction to Engineering. Did you know: In 2014, the American Society for Engineering Education named Professor Stickel as one of their Top 20 under 40. 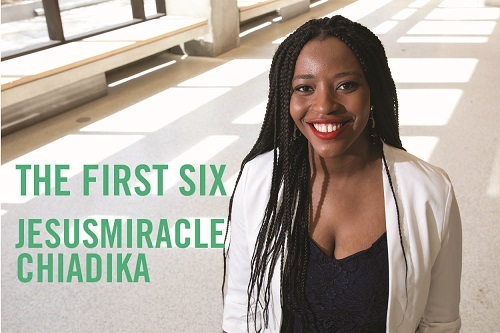 As the First-Year Coordinator, JesusMiracle is typically the first person you’ll meet when visiting the First Year Office. She can answer many of the questions you might have about your first year. If you’re unsure about how to access campus resources, how to make changes to your timetable, where to find your classrooms, or anything else, JesusMiracle is happy to help. You can find JesusMiracle in the First Year Office in GB 170. JASJASake informed decisions during your first year of studies. 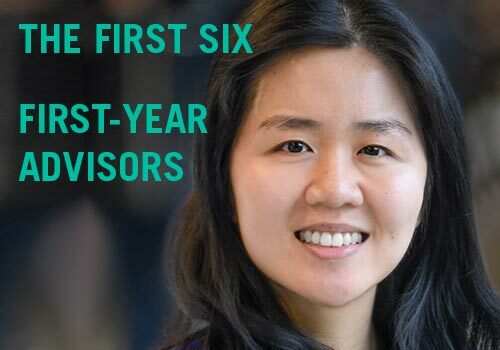 U of T Engineering’s First Year Office has four academic advisors who assist students with navigating questions regarding their programs of study, academics, career, personal matters and more. Another resource available to you are the First Year Office web pages on the Current Engineering Undergraduates website. The First Year Office’s web pages include updates, event postings, answers to frequently asked questions, a digital version of the Guide to First Year and more. Did you know the Faculty of Applied Science and Engineering has a Learning Strategist to help you succeed academically? If you would like to take your studies to the next level, the Faculty’s Learning Strategist, Jasjit Sangha, is available to help you reach your goals. 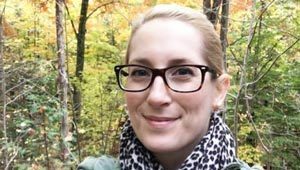 She brings a unique approach to her work with students, which is based on her extensive experience in teaching, curriculum development and faculty development. She completed her PhD at the Ontario Institute for Studies in Education (OISE) at the University of Toronto. 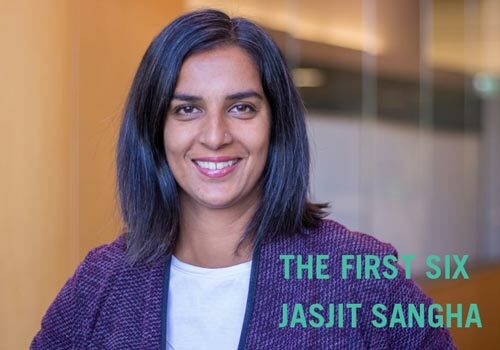 Jasjit can help you with the following learning skills: critical thinking, problem-solving, time management, research skills, note-taking, study habits, test and exam preparation, how to cope with stress and anxiety, fostering goal commitment, assessing your learning style and exploring adaptive technologies. You can book an appointment with Jasjit through the Office of the Registrar (GB 157), the First Year Office (GB170), calling 416-978-4625, or sending an email to firstyear@ecf.utoronto.ca. Tip: Attend an ACE Seminar Series events for the opportunity to engage with staff, faculty and your peers to apply academic strategies, life skills and co-curricular opportunities. 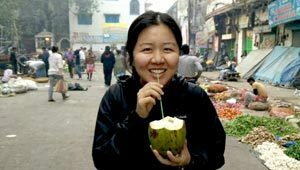 Meet Karen Pak, the Faculty’s new International Transition Advisor. As an international student, you will encounter many new experiences and challenges. Karen can help you adjust to University and life in Canada, including how to build community, make a plan to achieve your goals during your time at U of T, refer you to helpful programs, services, information and much more. Fun fact: Karen has spent many years coaching indoor and beach volleyball and has represented Canada as a coach for the U19 World Beach Volleyball Championships in Alanya, Turkey in 2009 and Porto, Portugal in 2010. You can find Karen in GB 167 (inside the First Year Office) on Tuesdays from 10:00 a.m. – 1:00 p.m. and Thursdays from 12:30 p.m. – 3:30 p.m. If you’d like to book an appointment, you can send her an email at karen.pak@utoronto.ca. 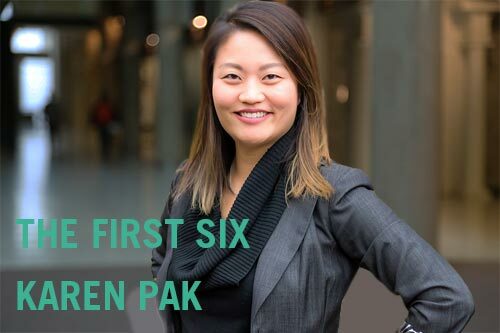 Take a moment to listen to Karen speak a little more about her role and some tips to help you with your first year at U of T Engineering.